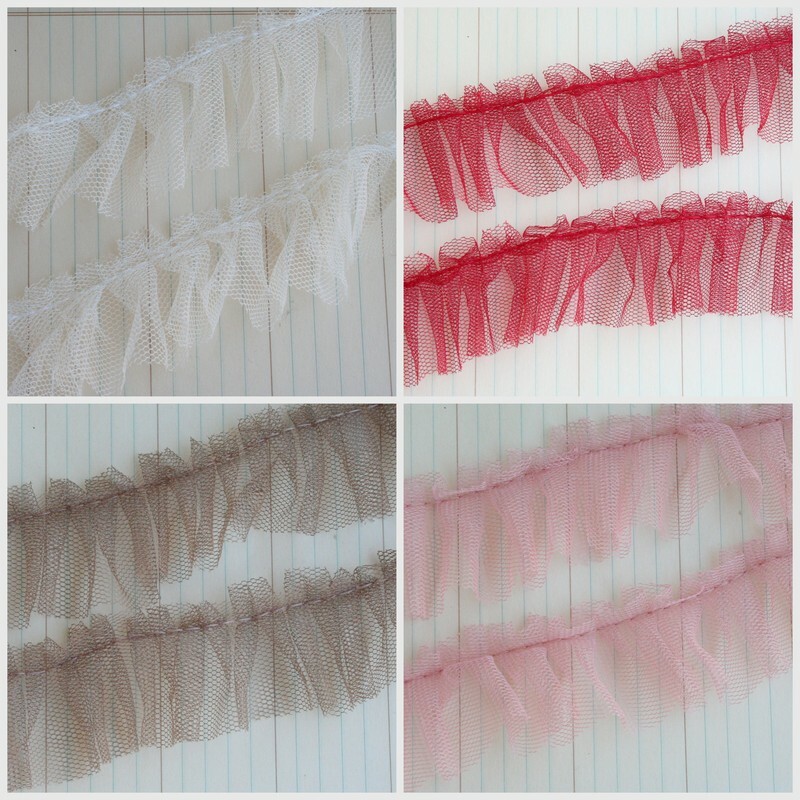 I`ll be listing these adorable tulle pleated trims in my ebay store next week......................gorgeous! I have all colors except the red. Sold by the yard.